So what does the author of "Cute Yummy Time" and "Crazy Wacky Theme Restaurants: Tokyo" think about Akumu Ink? Look for yourself here on her latest blog post! 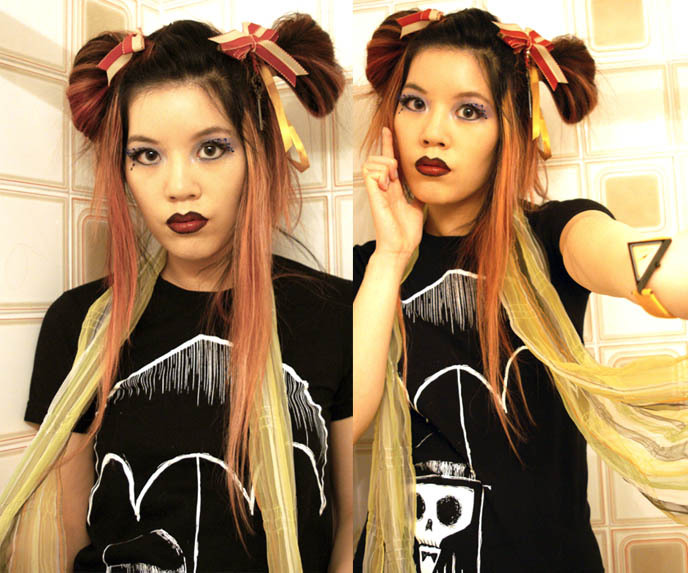 La Carmina is a fulltime blogger based on similar themes as our own. Also in her post she reveals a little secret "I’m so excited about designs that we’re doing a fashion collaboration together… stay tuned for news! We may have something to show you as early as January!" Very exciting stuff coming in 2010. 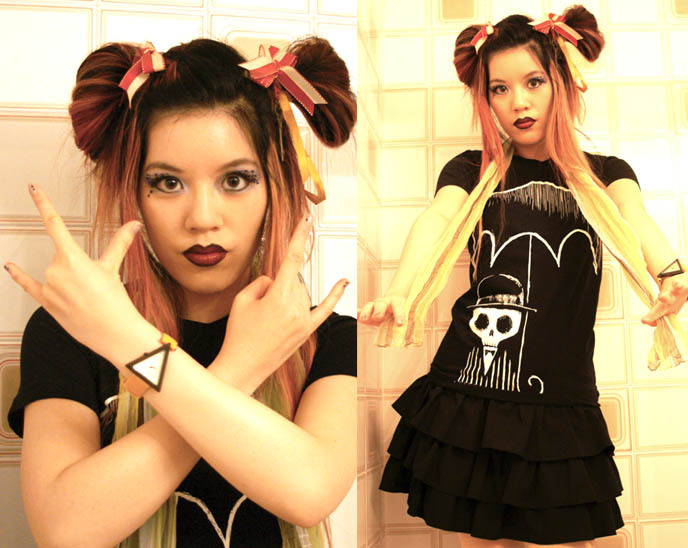 Including in January 4 NEW original Akumu Ink designs, and the NEW La Carmina x Akumu Ink shirts(s)! Stay tuned.